Yesterday, the Association announced that the National Quality Forum (NQF) endorsed the only recognized standard measures in the nation to assess improvement in self-care and mobility outcomes for patients admitted from a hospital to a skilled nursing care center (SNCC) for therapy services. Developed by AHCA and the National Association for the Support of Long Term Care (NASL), the two measures align with what the Centers for Medicare & Medicaid Services (CMS) is requiring the profession to implement through the IMPACT Act of 2014. They also support AHCA’s multi-year initiative to improve quality care in SNCCs. The risk-adjusted outcome measures are based on the CMS Continuity Assessment and Record Evaluation (CARE) Tool and information from the admission MDS 3.0 assessment. Both measures are calculated on a rolling 12-month average and updated quarterly. See the latest news release AHCA/NCAL issued on the endorsement of the functional outcome measures. As social media becomes an integral part of our daily lives, learn how to interact with current residents and families, as well as reach potential consumers. This webinar gives an overview of the role that social media could play in your center or community's marketing and communication strategy. Find out the latest trends on what social media channels consumers are using and why, and how those trends could benefit your organization. 1. Understand the various social media channels currently popular among consumers and how to use them as a business. 2. Develop a social media plan as part of a community's larger marketing and communications strategy. 3. Know how to maximize the use of social media while protecting residents' privacy and mitigating risk to your company. Join us in two weeks on a Twitter Chat on Hospice Care with AAHPM members Drs. Joe Rotella, Christian Sinclair, and Eric Widera, Tuesday, August 11, 2015, 1-2 p.m. Eastern Time. Follow along with #ProviderChats for an in depth discussion on this challenging topic. What is a good death? It’s an opening question to a conversation that may matter the most. Yet many patients appear to not even start it with either their loved ones or physicians. On Aug. 11, 2015, , Provider magazine will attempt to get the ball rolling on the topic of hospice care and death with dignity. Joining us will be Drs. Joe Rotella, Christian Sinclair, and Eric Widera, members of the American Academy of Hospice and Palliative Medicine. Ask your difficult questions with these experienced panelists. Rotella, MD, MBA, HMDC, FAAHPM, is chief medical officer and president-elect at AAHPM. He served as chief medical officer for Hosparus, a community-based hospice in Louisville, Ky., for 15 years. During his tenure, he helped establish hospice inpatient units, palliative care consultation services, and a palliative medicine fellowship. Rotella is also founder and sole member (owner) of Catalyst HPM, a health care consulting firm. Sinclair, MD, FAAHPM, is a national hospice medical director for Gentiva Health Services and is based in Overland Park, Kan. He has experience in multiple clinical settings, including home care, palliative care outpatient clinic, inpatient hospice, IDT , hospital-based palliative consults, and palliative home health. From 2006 to 2008, he was program director for the University of Kansas/Kansas City Hospice Fellowship Program. Sinclair is the editor of Pallimed, advocating for responsible social media advocacy for health care professionals. 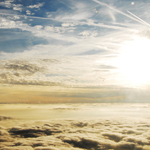 In addition, he has made multiple local TV, radio, and newspaper appearances on end-of-life issues. Widera, MD, is a clinician-educator in the Division of Geriatrics at the University of California San Francisco (UCSF). His main goal is to improve the care provided to elderly patients with severe chronic and/or terminal conditions through program development and educational innovations. Widera accomplishes this through various leadership roles, including director of the Hospice & Palliative Care Service at the San Francisco VA Medical Center and program director for the Geriatrics Fellowship at UCSF. He is also a co-founder of GeriPal, a Geriatrics and Palliative Care Blog, as well as ePrognosis, an online set of prognostic calculators for the elderly. The American Health Care Association and National Center for Assisted Living (AHCA/NCAL) commends the full U.S. Senate, and in particular the Senate Congressional leads of Senators Ben Cardin (D-MD) and Michael Enzi (R-WY), for passing the Notice of Observation Treatment and Implication for Care Eligibility (NOTICE) Act (H.R. 876) this past Monday evening. This legislation was introduced by Congressmen Lloyd Doggett (D-TX-35) and Todd Young (R-IN-9) in the U.S. House of Representatives earlier this year. The NOTICE Act will require hospitals to notify Medicare beneficiaries of their outpatient status within 36 hours. Outpatient status affects a patient’s ability to receive Medicare coverage for post-acute care in a skilled nursing center. On March 16, the House unanimously passed the NOTICE Act (H.R.876). The Senate Finance Committee approved the bill on June 24. With the full Senate approval, the legislation now gets sent to the President to be signed into law. August is National Immunization Awareness Month (NIAM). NIAM is an annual observance to highlight the value of immunization across the lifespan, and they need your help to promote it. Partners are key to raising awareness among consumers about the importance of vaccination, and NIAM is another great opportunity for you to raise awareness among your residents, family members and staff about the benefits of immunization. The National Public Health Information Coalition (NPHIC) is sponsoring NIAM in 2015. NPHIC, in collaboration with the CDC’s National Center for Immunization and Respiratory Diseases (NCIRD), has developed communication toolkits to help promote vaccinations. As part of these toolkits, you will find sample key messages, ready-to-publish articles, sample news releases, sample social media messages, FAQs, and web links among other resources. You can also get NIAM logos and banners for each weekly theme to highlight your participation in NIAM and spruce up you social media profiles. Feel free to contact NPHIC or CDC with any questions or to share your plans and activities for NIAM. You can email Brad Christensen at bchristensen@nphic.org or Ian Branam at yfi1@cdc.gov or visit NPHIC’s NIAM Website for more information. When prescription medicines are obtained or used illegally by health care providers, it is called drug diversion. A new graphic on CDC’s Injection Safety website illustrates the risks of contracting an infection when a health care provider uses injectable drugs for his or her personal use. See the new drug diversion graphic by visiting http://www.cdc.gov/injectionsafety/drugdiversion/index.html. Excited about assisted living being added to LTC Trend Tracker but not sure how to use it yet? Come learn from the LTC Trend Tracker team how sign-up your community, upload your assisted living turnover and retention data, and how to use the report to improve quality in your community. The webinar will be held on Tuesday, August 4, 2015 at 2:00 PM Eastern and archived for those unable to attend. Sign-up for the webinar here. It may be summer, but we here at AHCA/NCAL have an eye toward October, when thousands of your colleagues will be joining together to get caught up on all the latest news and innovations in long term and post-acute care. It's a fantastic event filled with unique learning, networking, and entertaining opportunities you won't find anywhere else. Learn more and register now. Advance Registration ends September 9. The July 24th deadline to present budget plans in Congress looks as if it will be pushed back in both chambers of Congress just days before legislators recess for the month of August. House Majority Leader Kevin McCarthy (R-CA) said Tuesday the date is, “not a hard and fast deadline,” but more of a guideline. Senate Majority Leader Mitch McConnell (R-KY) indicated the chamber would consider reconciliation, but with a large workload for the next week and a half, it is unlikely the Senate will have enough procedural time. The Senate Budget Resolution teed up July as a key time to pursue the arcane budget process called reconciliation to fast-track Republican priorities, namely the repeal of the Affordable Care Act (ACA) or Obamacare. The budget “provides a tool for the Senate majority to repeal a failed policy of the past — Obamacare — so we can start over,” McConnell said earlier this year. Republicans have indicated they will still attempt to use the reconciliation process to strip down the ACA and potentially make other entitlement changes, though any attempt to change the signature health care law would surely be vetoed by President Obama. Reconciliation was originally designed to pass budgets but has not been used since 1993 for the purpose. The last reconciliation act was used in 2010 to amend the Affordable Care Act to enact Pell Grant changes. The National Center for Assisted Living (NCAL) has announced the 2015 recipients of its NCAL Awards Program. The program recognizes assisted living employees from around the country who demonstrate exemplary work within the profession. Each year, members may nominate colleagues for four categories: NCAL Administrator of the Year, NCAL Assisted Living Nurse of the Year, Noble Caregiver in Assisted Living Award and the National Assisted Living Week Programming Award. NCAL National Assisted Living Week® Programming Award: Kathy Pietrocola of The Chelsea at East Brunswick in N.J.
Jarrell has more than 25 years of experience in long term care, with the last 16 spent at Heritage at Dover Assisted Living. Due to her leadership, Heritage at Dover Assisted Living enjoys impressive customer satisfaction and staff retention rates and is a Bronze level recipient of the AHCA/NCAL National Quality Award Program. Zeiler has been a nurse for 18 years and is the program manager of the memory care unit at The Village at Northrise. Through staff education, a focus on alternative strategies and family involvement, she has helped safely reduce the off-label use of antipsychotic medications among residents. As a certified nursing assistant for Riverside Lodge Retirement Community, Goatley is described as dedicated, calm, caring, compassionate and respectful. She consistently encourages staff to participate in events and holidays at the assisted living community and continuously tends to residents, even when not on the clock. Pietrocola and the other staff members of The Chelsea at East Brunswick held an engaging National Assisted Living Week® in 2014 for its residents. Honoring that year’s theme, “The Magic of Music,” the community simulated a trip across the United States, visiting major cities with strong musical backgrounds. At each destination, residents would immerse themselves in the culture with live performances, local cuisine and area fashions. The award winners will be recognized at a special awards ceremony on October 4, 2015, in San Antonio, Tex. during the Ninth Annual NCAL Day, held as part of the 66th Annual AHCA/NCAL Annual Convention & Expo. As the implementation date for ICD-10 looms closer (October 1, 2015), the Centers for Medicare & Medicaid Services (CMS) has released the ICD-10 Website Wheel, which is a tool designed specifically to furnish education on: 1) ICD-10 implementation planning; 2) Statutes and regulations; 3) Medicare Fee-For-Service Provider Resources; and 4) Medicare Learning Network Products web pages. Further, CMS has just revised MLN Matters Article #SE1408, Medicare Fee-For-Service (FFS) Claims Processing Guidance for Implementing International Classification of Diseases, 10th Edition (ICD-10) – A Re-Issue of MM7492, which includes tables for providers on claims that span the periods where ICD-9 and ICD-10 codes may both be applicable. CMS also has recently made the following products (which we’ve highlighted previously) available electronically: 1) General Equivalence Mappings Frequently Asked Questions; 2) ICD-10-CM/PCS ICD-10-CM/PCS Myths and Facts; 3) ICD-10-CM Classification Enhancements; and 4) ICD-10-CM/PCS The Next Generation of Coding. With the implementation date for ICD-10 only 100 days away, it is important to get ready now! CMS has an infographic that explains the 5 steps for preparing to implement ICD-10. CMS encourages all providers to visit the Road to 10 tool to build an action plan for using the 5 steps. The targeted audience for the call is medical coders, physicians, physician office staff, nurses and other non-physician practitioners, provider billing staff, health records staff, vendors, educators, system maintainers, laboratories and all Medicare providers. As we’ve noted in the past, these CMS national calls often focus on hospitals and physicians, but there may be an opportunity for questions from the LTC profession. Further, AHIMA has a white paper posted on its website that is specific to LTC titled ICD-10-CMS Coding Guidance for Long Term Care Facilities. To register for this call go to the MLN Connects Event Registration website. Space is limited. According to a July 15, 2015, IRS Tax Tips email alert, “If you’re an employer or health coverage provider, you can attend a series of educational webinars this summer to help you understand the Affordable Care Act’s (ACA’s) employer provisions and related requirements. The IRS is presenting three different webinars in July that will each be repeated in August and September. The IRS designed these webinars for business owners, tax managers, employee benefits managers and health coverage providers. All time listed below are Eastern Daylight Time. Learn about the ACA’s employer shared responsibility provisions and information reporting requirements for employers and providers of minimum essential coverage. Large Employers Learn about employer-sponsored health coverage information reporting requirements for applicable large employers, including who is required to report, what information the law requires you to report, and how to complete the required forms. Learn about the information reporting requirements for providers of minimum essential coverage, including employers that provide self-insured coverage. Learn who is required to report, what information the law requires you to report, and how to complete the required forms. For more information about the ACA and tax provisions for employers and health coverage providers, visit IRS.gov/aca.” Please also visit AHCA/NCAL’s ACA website. Interested social work, nursing activity, ministry or administrative staff are invited to register for a live Nursing Home (and assisted living) Social Work Dream Foundation webinar on August 18, 2015 from 1-2 PM Eastern Time. 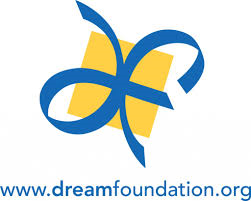 Dream Foundation is the only national dream-granting organization for adults. Since 1994, they have been touching lives, meeting needs, reuniting families, and providing peace, closure and joy at the end of life’s journey. Kristy Raihn, Dream Foundation’s Outreach Coordinator, is the webinar presenter and will share dream referral details and stories of meaningful dream requests, which have included reunions with loved ones, meeting a personal hero, or an opportunity to attend a favorite sporting event. Nursing home or assisted living residents are eligible if they are 18 and over, have a life expectancy of one year or less, and lack the resources to fulfill their dreams themselves. These dream requests can vary from basic need items, such as a mobility scooter, lift chair, TV, to bedside reunions, or the fulfillment of life-long dreams. The Dream Foundation’s philosophy is powerful and well stated. “While we cannot cure their illnesses, we can dramatically impact the quality of their lives with the joy experienced from a dream come true.” If nursing home or assisted living staff are not able to attend the live broadcast, they can listen to the one hour webinar recording presentation with PowerPoint after August 19, 2015 at http://clas.uiowa.edu/socialwork/nursing-home/webinars/recordings-past-webinars. For more information about the Dream Foundation, visit www.dreamfoundation.org or call 888-4DREAMS (888- 437-3267). If you are interested in the National Nursing Home Social Work Network, please contact Mercedes Bern-Klug at mercedes-bern-klug@uiowa.edu. The US Department of Health and Human Services (HHS), Centers for Medicare & Medicaid Services (CMS) reports that its Fraud Prevention System identified or prevented $820 million in improper Medicare payments in the first three years. In 2014 alone, the system identified or prevented $454 million, a 10 to 1 return in investment for the federal government. The Fraud Prevention System uses predictive analytics to identify troublesome billing patterns and outlier claims for action, similar to systems used by credit card companies. CMS plans to expand the Fraud Prevention System and its algorithms to identify lower levels of noncompliant health care providers who would be better served by education or data transparency interventions. To read the press release and the entire report go to http://www.cms.gov/Newsroom/MediaReleaseDatabase/Press-releases/2015-Press-releases-items/2015-07-14.html. On July 15, the Association announced Alice Bonner, PhD, RN, FAAN, GNP, as the 2015 recipient of the Mary K. Ousley Champion of Quality Award for her contributions to quality in the long term and post-acute care community. Currently, Dr. Bonner is Secretary of the Executive Office of Elder Affairs for the Commonwealth of Massachusetts. At Northeastern University in Boston, she serves as Associate Professor of the School of Nursing and Faculty Associate at the Center for Health Policy at Bouve College of the Health Sciences. She also serves as Program Director of the Schwartz-Jonas Fellowship for Compassionate Care. AHCA presents the Mary K. Ousley Champion of Quality Award to an individual or organization that has made a significant national contribution to advancing quality performance in the long term care field. Recipients must consistently advocate for quality approaches, while demonstrating the ability to educate and advocate for a systems approach to quality improvement. Recipients also display leadership in the development, promotion, and implementation of quality improvement initiatives that improve the quality of care and quality of life for individuals in need of long term care. In 2011, the Friend of Quality Award was renamed the Mary K. Ousley Champion of Quality Award to honor the ongoing legacy and commitment to quality care demonstrated by its namesake, Mary Ousley, a licensed nursing home administrator and nurse who has dedicated her life to quality improvement programs in long term care. Dr. Bonner will be presented the award at AHCA/NCAL’s 66th Annual Convention and Exposition, October 4-7, 2015, in San Antonio, Texas. The Office of Medicare Hearings and Appeals (OMHA) has announced the implementation of a new OMHA Case Processing Manual (OCPM). The OCPM establishes the “day-to-day procedures for carrying out adjudicative functions, in accordance with applicable statutes, regulations and OMHA directives,” according to OMHA. 5) Division V: SSA Determinations. The update adds a new chapter under Division I to provide a general overview of the manual. The new OCPM also contains updates on the current requirements and procedures for determination of valid appeals, including proper jurisdiction, standing, minimum amount in controversy, timely filing and other additional requirements. OMHA is a division within the Office of the Secretary of the U.S. Department of Health and Human Services (HHS). It administers hearings of Medicare appeals at the levels of Administrative Law Judge (ALJ) and the Departmental Appeals Board (DAB). In addition, OMHA addresses disagreements with coverage and payment determinations related to Medicare eligibility, Part B late enrollment penalty, and income related monthly adjustment amounts made by the Social Security Administration. Over the last several years, the number of ALJ appeals filed has increasingly grown, resulting in a significant backlog. OMHA developed the OCPM to improve consistency among adjudicators and to provide a framework for the move to electronic case processing. OIG has released a report, Ensuring the Integrity of Medicare Part D, which summarizes the agency’s work on Medicare Part D and provides an update on CMS’ efforts to address the weaknesses in Part D program integrity. The report highlights the importance of ensuring the integrity of CMS’ Part D program through proactive efforts to detect and prevent fraud, waste, and abuse. The availability and proactive use of data are essential to identifying several things, including program vulnerabilities and providers with questionable billing. It also helps target program integrity resources to the areas of greatest vulnerability. OIG also has released another report, Questionable Billing and Geographic Hotspots Point to Potential Fraud and Abuse in Medicare Part D, which summarizes the spike in spending on commonly abused opioids over the last decade. The report targets pharmacy-related fraud schemes regarding opioids and identifies “geographic hotspots” for certain non-controlled drugs. It highlights what the OIG deems as “questionable billing” related to frequently abused opioids. Since 2006, Medicare spending for commonly abused opioids has grown faster than spending for all Part D drugs, according to OIG. OIG investigations have identified pharmacy-related fraud schemes in Part D, such as drug diversion, billing for drugs that are not dispensed, and kickbacks. While pharmacy-related fraud schemes often involve commonly abused opioids, they can also involve non-controlled drugs. OIG found that more than 1,400 pharmacies had questionable billing for Part D drugs in 2014. 4) amplifying other OIG work. The intent of the litigation team is to “complement” the U.S. Department of Justice’s (DOJ) enforcement activities, and indicates that OIG and DOJ will be coordinating more closely on the CMP and exclusion cases that OIG pursues. Dedicating and increasing attorney resources to CMP and exclusion cases demonstrates that the OIG is ready and motivated to grow its penalty and exclusion cases. If the OIG moves forward as intended, this development could change the dynamics involved with settling False Claims Act cases, examining compliance and ethics programs, and the importance of thoughtful and thorough due diligence review of physician arrangements. The OIG has created a new webpage with reviews of the health insurance exchanges and other Medicare, Medicaid, and public health programs. The reviews are focused on promoting the economy, efficiency, and effectiveness of Affordable Care Act (ACA) programs across HHS. The Departments of Labor, Health and Human Services (HHS), and the Treasury have issued final regulations that make it easier for people and employers to compare options when shopping for and renewing health insurance coverage. These rules also implement streamlined processes to help health insurance issuers and group health plans provide consumers with easy to understand information. Click here for more information. 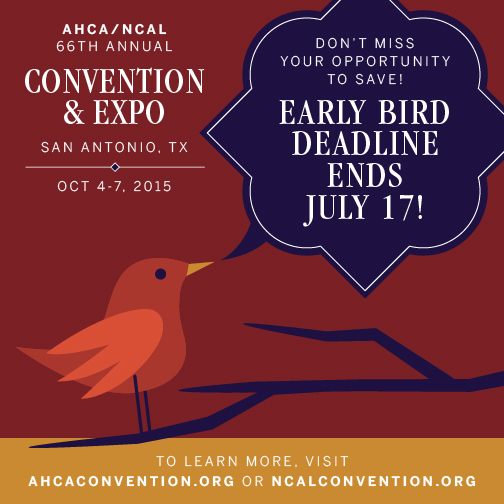 The early bird registration deadline for the 66th Annual AHCA/NCAL Convention & Expo is this Friday. To get the greatest savings, register now and don’t wait! The Convention & Expo offers a can't-miss opportunity to network, earn CEUs, learn new strategies for the challenges you face, and be inspired and invigorated with fresh ideas and solutions. Choose from over 20 tracks of educational programming, as well as enjoy excellent speakers, social events, and entertainment. You can also explore products/services in the Expo Hall. San Antonio is the place to be this October! Firm up your plans and register now. After Friday, advance registration rates apply. AHCA/NCAL would like to thank our current sponsors of this year’s event. The HHS, Office of Inspector General (OIG) has released its updated List of Excluded Individuals and Entities (LEIE) database file, which reflects all OIG exclusions and reinstatement actions through June 2015 and replaces the LEIE database file available for download last month. Individuals and entities that have been reinstated to the federal health care programs are not included. Healthcare providers are responsible for checking to ensure that excluded individuals are not working in their facilities, or they face significant fines. Instructional videos about how to use the online database and the downloadable files are available. Given the penalties and recent government warnings, long term care providers should check the LEIE on a regular basis. On Monday, the President hosted The White House Conference on Aging, an event focusing on issues facing Americans as they plan for retirement and receive care later in life. The conference, held once every ten years, attracted a packed room in Washington, D.C., as well as viewers across the nation via live stream. AHCA member and Board of Governors Vice Chair Tom Coble was invited by the White House to attend the meeting in person and hear about the Obama administration’s effort to improve the lives of Americans as they age. In a year that marks the 50th anniversary of Medicare and Medicaid, as well as a rapidly increasing population 65-and-over, the conference marks an important moment in how America will work to improve the lives of its aging individuals. President Obama stressed the need for initiatives that support caregivers, both relatives and elderly Americans, as well as medical staff. The Administration also introduced efforts to prevent and treat Alzheimer’s disease by 2025 and create a nationwide health curriculum to better train health workers to care for patients with dementia. Last week the Department of Health and Human Services (HHS) Office of Inspector General (OIG) released a report titled Skilled Nursing Facility Billing for Changes in Therapy: Improvements Are Needed. The purpose of the study was to examine the Centers for Medicare and Medicaid Services (CMS) introduction of three new SNF PPS assessments in fiscal years 2011 and 2012 to capture changes in a beneficiary’s therapy services. These new assessments address: 1) start-of-therapy, 2) end-of-therapy, and 3) change-of-therapy (decreases or increases in therapy services), during a beneficiary’s Part A stay. The OIG report provides information about SNF billing for changes in therapy under these new policies, as well as the extent to which SNFs used the new assessments incorrectly. · SNF billing for change-of-therapy from 2010-20013 increased slightly form 27-31 percent. · When SNFs are permitted the flexibility to choose between a scheduled assessment, and a combined change of therapy assessment when a beneficiary’s therapy level changes, SNFs use assessments differently when decreasing therapy than when increasing therapy. · From 2011-2013, there was an improvement in the incorrect use of the new therapy assessments, but start-of-therapy assessments continue to be used incorrectly at a rate of 27 percent. 1. Reduce the financial incentives for SNFs to use assessments differently when decreasing therapy than when increasing therapy. 2. Strengthen the oversight of SNF billing for changes in therapy. CMS concurred with the OIG recommendations, but acknowledged that CMS has “…worked to balance the need to provide accurate payment for therapy services with the burden that reporting requirements place on providers.” CMS also noted that they currently are conducting the SNF PPS Payment Model Research Project to guide future reforms, and will continue to monitor SNF billing patterns for changes in therapy to target providers for education and claims review. AHCA is reviewing this OIG report and will be following-up with CMS to provide comments and recommendations. As you may know, “observation status” in a hospital does not count toward satisfying the three-day inpatient hospital requirement for coverage of skilled nursing care services under Medicare. Often, patients remain under ‘‘observation status’’ in the hospital for several days. These days are not counted toward the three-day inpatient stay requirement because they are considered outpatient. Increasingly, patients have no idea what their status is in a hospital, or the importance of it, which can lead to thousands of dollars in out-of-pocket medical expenses should they need skilled nursing center care following their hospital stay. In addition to placing a financial burden on seniors and their families, this anomaly in Medicare rules can cause unnecessary spend-down, accelerating the time frame in which seniors will have to turn to programs such as Medicaid to pay for their care. AHCA/NCAL is part of the observation stays Coalition, which currently consists of 26 national organizations such as AARP, the National Committee to Preserve Social Security & Medicare, and the Catholic Health Association of the United States. The Coalition supports the bipartisan Improving Access to Medicare Coverage Act (S. 843/H.R. 1571) that would count a patient’s time in observation toward the 3-day hospital inpatient stay requirement. The updated observation stays Coalition one-pager is available online. For more information about observation stays and the three-day stay requirement, please visit the AHCA/NCAL website. In addition, on July 1, CMS released its 2016 Hospital Outpatient Prospective Payment System and Ambulatory Surgical Center Payment System proposed payment rule. CMS included in its proposed rule the modification of the “two-midnight” rule. According to a July 1 article from Modern Healthcare by Virgil Dickson, “the Obama administration said it plans to allow physicians to exercise judgment to admit patients for short hospital stays on a case-by-case basis. The CMS also said it would remove oversight of those decisions from its administrative contractors and instead ask quality improvement organizations to enforce the policy. Recovery audit contractors, meanwhile, would be directed to focus only on hospitals with unusually high rates of denied claims.” The article goes on to include that, “under the two-midnight rule, the CMS directs its payment contractors to assume a hospital admission was appropriate if a patient's stay spanned two midnights and otherwise should have been billed as an outpatient observation visit.” AHCA/NCAL is currently analyzing the proposed rule. If you have any questions, please don’t hesitate to contact AHCA’s Dana Halvorson or James Michel. 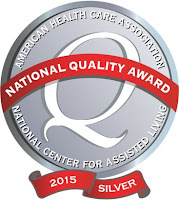 2015 Silver Quality Award Recipients Announced! The Association announced the names of the 126 long term and post-acute care organizations that have earned a 2015 Silver - Achievement in Quality Award. The award is one of three distinct awards possible through the AHCA/NCAL National Quality Award Program, which honors select centers across the nation that serve as models of excellence in providing high-quality long term and post-acute care. A full list of the recipients is available on the AHCA/NCAL website. The program has three levels: Bronze, Silver and Gold. As a recipient of the Silver - Achievement in Quality Award, these centers and their staff have demonstrated systematic advancements in quality, plans for continual improvement, and sustainable organizational goals. Recipients of the Silver Award may now move forward in developing approaches and achieving performance levels that meet the criteria required for the Gold - Excellence in Quality Award, which requires them to address the Baldrige Health Care Criteria for Performance Excellence. AHCA/NCAL announced the recipients of the Bronze - Commitment to Quality Award on June 1. The names of the coveted Gold - Excellence in Quality Award will be released on August 14. 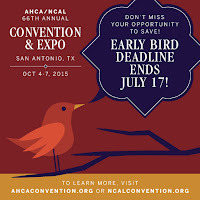 The recipient organizations will be honored during the AHCA/NCAL’s 66th Annual Convention and Exposition, October 4-7, 2015, in San Antonio, Texas. The 2015 White House Conference on Aging (WHCOA) is an opportunity to recognize the importance of key programs, like Medicare, Medicaid, Social Security and the Older Americans Act. The conference also aims to look ahead to the issues that will help shape the landscape for older Americans for the next decade. This coming Monday, July 13, the 2015 WHCOA will hold its once-a-decade event with remarks from President Obama and panel discussions on key issues, such as caregiving, health aging and financial security. Americans across the country are encouraged to watch this live event online. Host a watch party in your skilled nursing center or assisted living community for all your residents. Download the discussion guide if hosting a party. Or find a watch party near you. You can also get involved with the WHCOA by sharing your story about aging, or by participating in the discussion on Twitter with the hashtag #WHCOA. Be sure to also follow @ahcancal, as we’ll also be live tweeting the event. Before the event, you can also have staff and residents finish the sentence: “Getting older is getting better because …”? The WHCOA has a form (PDF) where you can write in your answer. Take a photo, fill out form, and post it on via Twitter using #WHCOA. This is a great opportunity for long term and post-acute providers to let the Administration know the key role we play in improving the lives of older adults. Please take some time to participate on Monday! With all the decisions you have to make on a daily basis, registering for this year's Convention & Expo is a no-brainer. 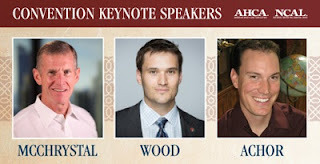 It's the biggest and best long term and post-acute care event of the year, and offers CEUs, unbeatable networking opportunities, exciting speakers, and updates on all the latest happenings in your field. Attending the AHCA/NCAL Annual Convention in San Antonio has no down side. The only regret you'll have is not acting fast enough. So don't wait! Register now and take advantage of the early bird savings. The deadline is next Friday. Health care workers face an increased risk of workplace violence while at work. Data suggests that 70% of workplace assaults occur in the health care industry. In response, OSHA recently released an update to its Guidelines for Preventing Workplace Violence for Healthcare and Social Service Workers and it has indicated that it will focus on the hazards associated with workplace violence in all health care industry inspections. The publication includes suggested best practices and provides some insight on how to reduce the risk of violence in various health care and social service settings. Attend our webinar to learn about the new OSHA guidelines and strategies that can help you successfully address the unique challenges that the health care industry faces in tackling this workplace challenge. Join us with speaker Nickole Winnett, Attorney at Law, Jackson Lewis PC. On June 25, 2015 OSHA announced a new and stricter enforcement policy for the health care industry. AHCA’s OSHA consultant, Jackson Lewis P.C., provides clarifying information related to the five major hazard areas: 1) safe patient handling; 2) workplace violence; 3) bloodborne pathogens; 4) tuberculosis; and 5) slips, trips, and falls. You can read this important information here. The National Pressure Ulcer Advisory Panel (NPUAP) has released a new position statement entitled Hand Check Method: Is it an Effective Method to Monitor for Bottoming Out? This position statement concludes that no evidenced-based research could be found to validate the practice of using the hand checks method. With the advances in therapeutic support surfaces and mattress replacement systems, methods to monitor “bottoming out” have not kept pace with these new support surface technologies and the hand checks method is not an effective or safe assessment on these support surfaces. The gap in the evidence indicates that additional research is needed to provide a bedside method to determine when a support surface has bottomed out. To view this white paper and others authored by the NPUAP please visit http://www.npuap.org/resources/position-statements/. The Associate Business Member program (ABM) is designed for those companies that share a genuine interest with AHCA/NCAL in furthering the quality of long term care and are dedicated to the success of the profession. To learn more about the ABM program visit our website or contact Kate McCullough. Of note is the fact that the first nine pages of the document are devoted to the heightened scrutiny process. According to CMS’ initial guidance on the final rule, heightened scrutiny should be applied to provider settings that meet the following criteria: settings in a publicly or privately-owned facility providing inpatient treatment; settings on the grounds of, or adjacent to, a public institution; or settings with the effect of isolating individuals from the broader community of individuals not receiving Medicaid HCBS. The document contains further details about what information states should submit to CMS for this process, what criteria CMS uses to review states’ requests for heightened scrutiny, how states can demonstrate that settings meet the HCBS characteristics, and more. The skilled nursing facility (SNF) Program for Evaluating Payment Patterns Electronic Report (PEPPER) summarizing statistics for FYs 2012-2014 is now available through the PEPPER Resources Portal. To date, 51 percent of all SNFs have retrieved this important data. For more information on accessing your PEPPER, see the Distribution page. Recorded PEPPER training sessions also are available on the SNF Training and Resources page at PEPPERresources.org, along with the updated SNF PEPPER User’s Guide. Join the email list at PEPPERresources.org to receive notifications of upcoming training opportunities and report distribution. By way of background, PEPPER is a comparative billing report summarizing Medicare claims data statistics for areas at risk for improper Medicare payments. It is distributed by TMF® Health Quality Institute under contract with the Centers for Medicare & Medicaid Services. Visit PEPPERresources.org to access more information on PEPPER. The US Department of Health and Human Services (HHS) has announced a national Medicare fraud sweep resulting in charges against 243 individuals (including 46 doctors, nurses and other licensed medical professionals) for approximately $712 million in false billing. The individuals were charged with various health care fraud-related crimes, including conspiracy to commit health care fraud, violations of the anti-kickback statute, money laundering and aggravated identify theft. The charges are based on a variety of alleged fraud schemes involving various medical treatments and services, including home health care, psychotherapy, physical and occupational therapy, durable medical equipment and pharmacy fraud. More than 44 of the individuals arrested were charged with fraud related to Medicare Part D.
To obtain a copy of the HHS announcement go to http://www.justice.gov/opa/pr/national-medicare-fraud-takedown-results-charges-against-243-individuals-approximately-712.